Daniel DiChristina, MD is a co-founder of Orthopedics East and has treated professional, collegiate, and high school level athletes for over 20 years. Dr. DiChristina has mastered the latest techniques in arthroscopic surgical treatments of the shoulder and knee as well as a wide variety of general orthopedic surgical procedures including fracture care and total knee arthroplasty. 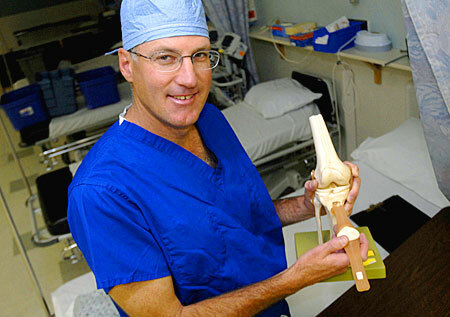 He is a member of the American Medical Association (AMA), the American Orthopedic Society for Sports Medicine (AOSSM), the Onondaga County Medical Association, and the SUNY Health Science Center at Syracuse Medical Alumni Association. Dr. DiChristina is currently a team physician for the Syracuse Crunch professional hockey team and orthopedic consultant to LeMoyne College, Chittenango HS, and the Syracuse City Schools. His professional interests revolve around the surgical and medical treatment of all athletic injuries.